Thrilled to have my short story ‘The Portrait’ featured in the wonderful Fictive Dream today. If you don’t know them already they’ve put out a whole bunch of great work over the past few years – I can promise a root around the archives is time well spent. Very proud to be a part. Posted on March 22, 2019 Author joebedfordLeave a comment on It’s a Fictive Dream! Posted on March 15, 2019 Author joebedfordLeave a comment on Hola Cambridge! Write & Raise: 1st Place! Surprised, thrilled and honoured to have won last week’s Write & Raise prize down at Waterstones Brighton. Sincerest thanks to the judges, organisers and to all the nominees who read such quality, moving extracts from their work. Proud and grateful to know that all the proceeds from the competition will now go to my chosen charity, the worthy Shelter. A great feeling. Posted on January 29, 2019 January 29, 2019 Author joebedfordLeave a comment on Write & Raise: 1st Place! Pleased as punch to say that after 3 arduous and intense years of work, I’ve just finished the final draft of my fourth novel Cacophony USSR. It has been by far the most difficult and exhausting writing experience of my life, but deeply fulfilling in the knowledge that it’s the best it can be. Many thanks to everyone who has helped with ideas, plot design, research materials, proofing and emotional support. This book belongs to all of you, as well as to the real people who inspired it. And if you know any agents desperate for a debut, do chuck them unashamedly my way. Best wishes all – here’s to the next stage. Who? M. E. Saltykov-Shchderin, pronounce it at your peril. What? A Russian satire in the vein of Gogol, though much, much funnier. When? 1870, era of the Tsars. How? An historical account of a small fictional Russian town (Glupov) over one hundred years, examined in proxy via its tyrannical yet inept rulers. Why? Saltykov-Shchedrin is definitely in competition for the funniest Russian novel of all time, and only falls short of Bulgakov’s efforts much later. As a satire, it must be seen as the base for many state-sceptical works: its boldness in the portrayal of government officials and civil servants is a highly inventive invective. Foote’s translation reads like a dream; it is, considering the epoch of the source material, extremely successful in flow and timbre. If only all novels on the sufferings of the Russian peoples were such a dandy delight. 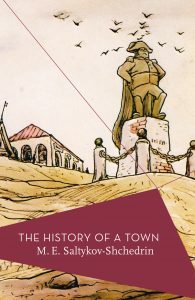 The History of a Town is available as an Apollo paperback, translated by I. P. Foote and introduced with some gusto by Charlotte Hobson, recent author of The Vanishing Futurist. What? A selection of verse and prose-poems, including a good chunk of Les Fleurs du Mal. When? Mid nineteenth-century, with all the zest of Hugo’s grotty Paris. How? Carol Clark translates Baudelaire’s bucolic verse into concise, rhymeless prose footnotes – an excellent way to imbibe (disregarding B.’s strict and inventive use of French meter). Why? 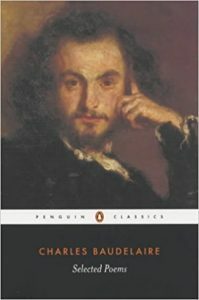 Reading Baudelaire in my twenties did little to curb my unrelenting pretentiousness; re-reading him now provides something of the same. His vigour is languid, the intensity of an opium-addict philosophising from a chaise longue. In that sense, parts of his verse are so out of touch with reality that it takes poetic pretence to approach them. But it is his common place imagery (so controversial in France at the time) that helps bring him closer to Earth; he is perfectly satisfied comparing a pair of breasts with a sets of cupboards. Reading him again at 40, when I am spending all my weekend assembling those cupboards, threatens to be fall. Selected Poems is available as a Penguin Classics paperback, introduced and translated by Carol Clark.